Update 8/30/2015: Acquisition reports remain unconfirmed. We are now being told by some sources that Neumont was in fact acquired by Caltius Capital Management out of Los Angeles, California, despite Neumont not being mentioned on their Portfolio page. Emails sent by CollegeTimes to Caltius have not been returned. Update 9/13/2015: Caltius Capital has refused to reply to CollegeTimes, and still no public confirmation of who now owns Neumont. In the meanwhile, every single one of their Utah corporations has expired, besides Neumont University LLC, which was last renewed on August 5, 2015 (although managing members are not publicly listed). There truly is sweet justice in the world every once in a while (or, kind of…). Meet Shaun McAlmont. He is Neumont University’s new president. Shaun joins us after serving as CEO of Lincoln Education Services, a multi-campus educational institution headquartered in New Jersey offering a range of academic and certificate programs. He’s carefully made the decision to join a university like Neumont, where he can work directly with students, staff, and faculty, like he did early in his career as a director of student affairs at Stanford University. He’s thrilled to return to Utah where he lived during his college years as an NCAA athlete at Brigham Young University. According to Neumont insiders, the change is due to the school’s (sudden) new owner, (Lincoln Education Services? ), dumping Levine as part of its recent takeover. The news comes just weeks after Neumont’s “disparagement” lawsuit against CollegeTimes was officially thrown out after nearly 2 years of proceedings. Although an AP wire story last week briefly mentioned the Levine transition, there has been no public confirmation of new investors or ownership of the Neumont campus, which has been controlled by Great Hill Partners for most of its (short) existence. However, at the time of writing, Great Hill appears to have removed Neumont from their investment portfolio page, and Matt Vettel, a managing partner at Great Hill, appears to have updated his public LinkedIn profile to remove his active position on Neumont’s board of directors, all lending credibility to buyout rumors. Levine, who previously worked at for-profit Johnson and Wales University after various business ventures in Rhode Island, had been both president and CEO of Neumont University since 2007. During his tenure, students accused him via CollegeTimes of fraud, harassment, lawsuit threats, and making “drunk” phone calls to their families. A 2014 CollegeTimes interview with Jeme Deviny, the former Financial Director at Neumont, was even more telling. Deviny accused Levine of near-daily workplace harassment of various staff members, especially those with “disabilities” or whom Levine felt were too “old” or “overweight” to keep Neumont’s image “youthful and vibrant.” Deviny also revealed that Levine had chosen to fire one employee, Kristi Robertson, just weeks after her husband died of cancer, causing her to become deeply depressed. Some days later, Robertson fell into a diabetic coma, and died shortly thereafter. 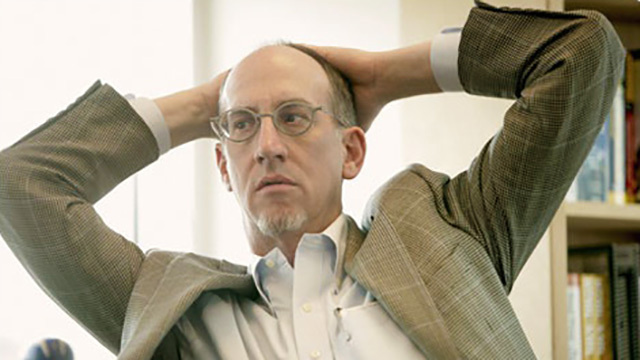 Among other events, Levine got Neumont banned from Wikipedia for years of spamming, worked with the Salt Lake Tribune to spread disinformation, stalked and spied on CollegeTimes along with top ranking members of the LDS (Mormon) Church, hired faculty who lacked a college degree, and even successfully convinced another for-profit college to threaten us as well. CollegeTimes has tracked the misdeeds of Neumont for several years, even connecting Harry Reid and Mormonism to the lawsuit Neumont filed against our web host in federal court (which was thrown out a few months ago). Levine even posted a pseudo-press release to Neumont’s website slandering me personally so that it would show up in Google results, which is still live over 2 years later. Ironically, it appears Levine has gotten a taste of his own medicine, now being shamelessly dumped by Neumont’s new owners (although he doesn’t seem ready to remove the CEO position from his LinkedIn profile yet). Shaun E. McAlmont, the former CEO of Lincoln Education Services, has been named (apparently by himself?) as Neumont’s new campus president. Notably, he does not seem to retain a “CEO” title, which has apparently been discontinued by the school’s new investors. A Google search of McAlmont finds his name mentioned across several spam blogs advertising for-profit diploma mill programs, which interestingly appear to have been deleted as recently as a few days ago. Shaun attended Brigham Young University on a full athletic scholarship. He is one of a small population of minority students to successfully graduate from the predominantly Mormon University. … He has previously served on the Board of Directors for the California Association of Private Post-Secondary Schools and the Briarwood College Board of Trustees. Advocating for Private Sector Vocational and Technical Education. …which again, has recently been deleted in place of a more formal description of himself along with photos of McAlmont alongside former U.S presidents. Anyway, Ned — enjoy your “long-term interest in land conservation”… lmao. Quite a stretch to try an link the LDS Church to Neumont University just because the new president attended BYU. How does that “begs the question of how the LDS Church (Brigham Young University) once again finds itself at the center of a major Neumont transition despite years of Neumont denying any connection to Mormonism or any LDS organizations”? The LDS Church does not own Neumont as your profile states. The Church has nothing to do with that school. Why do you choose to promote such false statements? I can’t tell if you are more anti-Mormon or anti-Semitic. While I’m not a fan or private, for profit ” Universities” your rant leaves me a little puzzled. Someone or something seems to have irritated you. To be taken seriously as an observer/reporter on higher education, I’d suggest you trade some passion for more objectivity.